We were delighted to welcome royalty on board on Saturday 24 November. 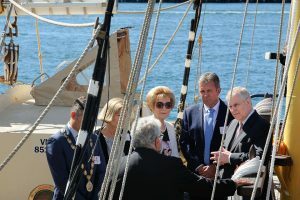 As part of his Australian tour, The Duke of York visited the Port of Fremantle and STS Leeuwin II on a sunny Perth Saturday afternoon. 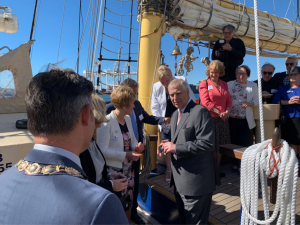 Captain Sarah Robinson escorted HRH from the Port Authority to the STS Leeuwin II. There he was greeted by a number of Leeuwin Ocean Adventure representatives including crew members and volunteers. 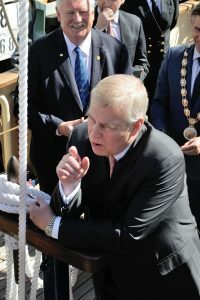 “It was an honour to welcome The Duke of York on board. 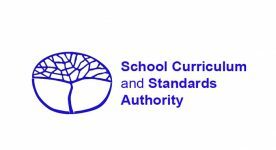 The Duke is committed to supporting a wide range of educational pathways, such as vocational learning, to ensure that young people develop relevant skills to allow them to become economically active. This is exactly what we do at Leeuwin Ocean Adventure – running unique adventure programs for youth that develop their communication, leadership and work-ready skills,” explained Leeuwin’s CEO Carol Shannon.